Would you feed a family member food made from a recipe that had unknown ingredients and wasn’t tested for safety? 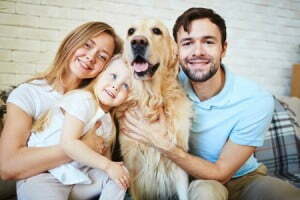 Most people love their pets like family and want to serve them high-quality, healthy pet food. But did you know that most pets have different needs at different stages of life? It makes sense, when you think about it. People grow and change over a lifetime. And we’ve all heard the old adage: You are what you eat. It’s the same for your pets! At each stage of life, what your pet needs in a healthy pet food to grow and thrive will change. That’s why we’re sharing some basic advice to help you find a healthy pet food for your furry friend. Feed a pet food that meets human-grade standards. Make sure the food is prepared in a human-grade facility and that every ingredient has passed the standards necessary for human consumption. Choose a food that has been lab safety tested for pathogens, including salmonella, listeria, and E. coli. The pet food company should show the results of their lab safety tests on their website, and if they don’t, make sure you contact them to send the results to you. The safest pet food companies test every single batch they produce and won’t ship their food unless it passes the lab safety test. Common filler ingredients that contain starch are being linked to cancer growth in dogs. Make sure your pet food is free of filler ingredients like grain, potato, rice, corn, wheat, soy, and added preservatives. Ethical pet food companies value transparency. 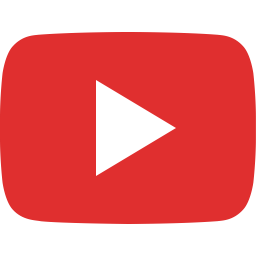 Look for companies that have videos of how their food gets made, along with a map that shows where all the ingredients in their recipes are sourced from. Feed your pet a recipe that’s specific to its stage of life. Although feeding an “All Life Stages” diet is fine, it isn’t optimal. Puppies and kittens have different nutritional requirements than adult dogs and cats do. Look for pet food companies that offer customized feeding calculators on their website. Just like every human is different, so is every pet. Many pet food companies tell you how much to feed your dog or cat just based on its weight alone. Other factors like age, activity level, and whether you think your pet should lose weight, maintain weight, or gain weight should all be included in figuring out how much to feed your pet. Those are some of the basic guidelines for healthy eating, and a great place to start. But, there are other factors you can use to choose healthy pet food. Did you know that over half of the dogs and cats in the United States are overweight? We’re helping to solve this problem. You can visit our website to create a customized eating plan for your pet. You might notice we don’t include breed in our list of factors. That’s because the only connection your pet’s breed has to its daily calorie requirement is through its activity level. The problem with this is that the activity level for every pet within a breed isn’t the same. We understand that no one knows your pet as well as you do, that’s why we let you decide your pet’s activity level. It is helpful to know what the ideal weight is for your pets breed, and then compare it to the dog’s current weight. That can help you determine whether you’d like to see your pet lose, maintain, or gain weight and adjust the portion size (and activity levels) accordingly. Ready to learn more about how to feed your pet healthy pet food? All of the information we provide is based on guidelines created by world renowned advocate for nutrition and safety, veterinarian Dr. Karen Becker, DVM. Visit us online to learn more!